Ian brings a vast experience of leadership to Genesis, much of it gained in the IT industry. As Chairman Ian leads the board, sets its agenda with the focus on ensuring that the company operates professionally, and that appropriate funding, resources and strategies are in place to deliver the business plan. Ian was Group IT Manager for Ingersoll Rand before becoming General Manager of their portable compressor division. After followed the post of Director for Land Rover and later becoming Managing Director of a division of AT&T Istel. In the early 1990’s he was Director of BIS Information systems, a £150m turnover IT and consultancy company. Ian led an MBO of software company, Cimage, in 2000 and realised the investment through the sale of the company in 2004 to a French IT company, SWORD. Continuing his M&A activities he went on to acquire 3 further companies for SWORD. 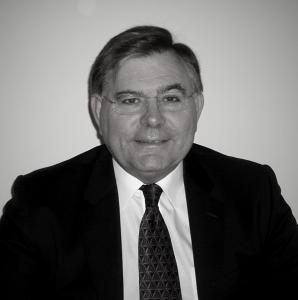 Ian was Chairman of Parallel Global Ltd. and led a successful sale, at the end of 2009, to an American corporation. In addition to Chairmanship of Genesis Ian is also Chairman of both Claritum Ltd. and Crowd control Ltd.
Ian holds a Bsc Hons in Management Sciences from the University of Manchester.